The radical renovation of our hotel during the years 2007-2008 resulted in 32 luxurious double rooms and studios and 1 apartment that can accommodate up to 5 people. 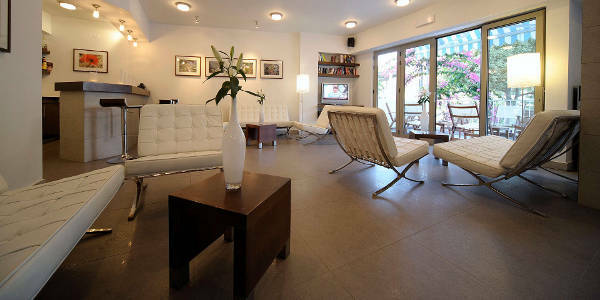 The apartment and studios also feature fully equipped kitchen and living room. All rooms are characterized by comfort, luxury and elegance, decorated with the unique style where the blue and white colors of Greece prevail, aiming to your pleasant sojourn. In front of the hotel there is free parking space for the clients of our hotel. In a well-decorated space on the second floor of the hotel you will find the swimming pool area, equipped with sunbeds and umbrellas, where you may relax enjoying a refreshing drink or a delicious snack at the pool-bar. On the 4rth floor there is a beautiful garden where somebody can relax while reading a book on the swing or drink his coffee in a quite environment. In order to enjoy your breakfast as much as possible, we have created a special and atmospheric place in the area of the reception. 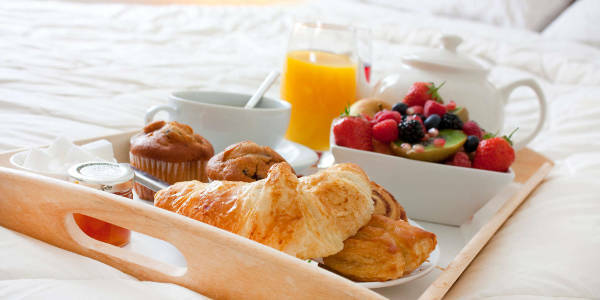 There you will have your breakfast served from 8:00 to 10:00 every morning. Our buffet consists of a number of homemade, traditional recipes (pies, cakes, jams,etc.) giving you the opportunity to taste the Greek and Cretan cuisine. The radical renovation of the hotel allowed us to build 33 modern and luxurious rooms and a studio that can accommodate from 1 to 6 guests and even disabled persons (1 room for disabled people in the first floor, and soon to be built even special ramps obtaining access to the room).